"Produced and mixed by Mike Mogis (Phoebe Bridgers, Bright Eyes, Cursive), Janzen transitions comfortably into the bigger sound, and creates a fine-tuned sound that’s a little bit folk, a little bit rock, but not at all forced—it feels like she’s found exactly where her literal and lyrical voice is meant to flourish." "The powerful simplicity of a voice, a guitar, a restrained melody and a raw emotion has been rediscovered by songwriters like Julien Baker, Phoebe Bridgers and now Taylor Janzen." With her stunningly sparse melodies and minimalistic guitar riffs, 19 year old Taylor Janzen may seem softly spoken, but her staggering lyrical narrative and deeply personal writing sends a resounding message. 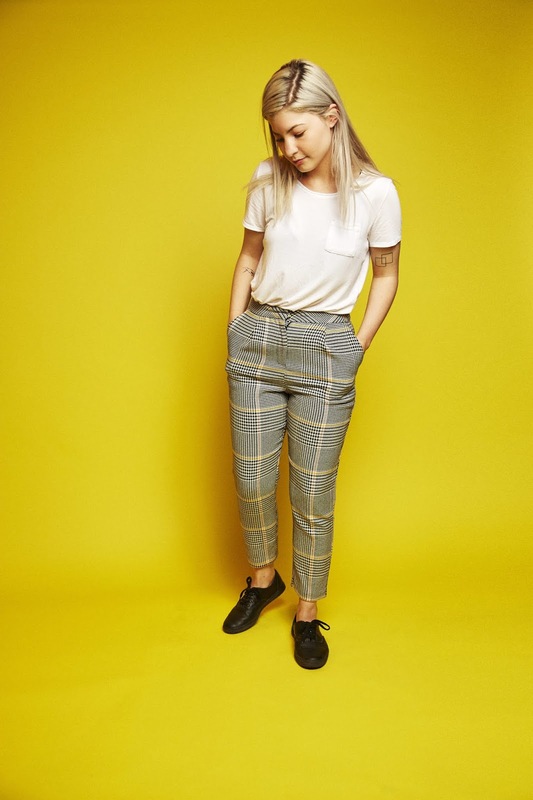 The Winnipeg artist garnered praise from the New York Times with her debut EP, "Interpersonal", which was mastered by Greg Calbi (Julien Baker, Arcade Fire, Big Thief), and co-produced by Taylor. Today, she returns with "New Mercies" - a song that sees Taylor embrace a bigger, fuller sound and was produced/mixed by Mike Mogis (Cursive, Phoebe Bridgers, Bright Eyes). With folk-twinged riffs and an unabashedly post-punk backbone, "New Mercies" has an underlying sense of frustration that sees the Canadian artist grapple with her disconnection with spirituality. She explains, "I wrote New Mercies as a way to entertain my cynicism a little bit. I was feeling really spiritually lost (honestly when am I not?) and that’s what the song is about… a deep disconnect between my spiritual self and the faith I grew up with, and trying to find something to bring them together somehow. This is also my first song being released with a full band, and recorded in a real studio as opposed to a bedroom. Having a band really helped capture the frantic and frustrated energy of the lyrics and overall vibe of the song." Taylor had a religious upbringing in Winnipeg, attending a small school up until graduation. Her family and friends and those around her never talked to one another about difficult things they were experiencing in life, and if they ever needed help, they turned to religion for answers. “The thing is, my personality isn’t as depressing as my music is,” adds Taylor. Often tweeting about Dennis Quaid, her cat Rory Gilmore and the occasional Paramore cover (one of which went viral with 25k+ retweets and got the endorsement from Hayley Williams herself), every little thing Taylor shares with the world is magic, shining a light and finding beauty in even the darkest, and seemingly mundane moments. With 2018 wrapping up as a banner year for the artist, 2019 looks to be much the same, with Taylor gearing up to release her sophomore EP, as well as performing as an official artist at SXSW and an appearance at Shaky Knees Festival in May 2019.